Thumb or finger sucking are habits that occur in infants. Children usually give up thumb-sucking by the age of four. If the child continues past the age when their permanent teeth start to erupt, they may develop crooked teeth and a malformed roof of their mouth. 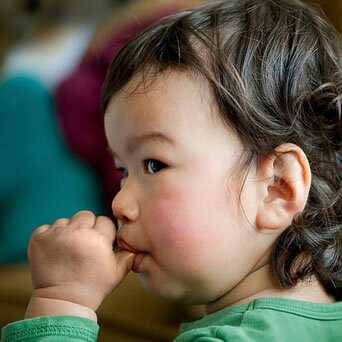 The consequences vary according to the frequency, duration, intensity and position of the thumb in the child’s mouth. This can also affect the position of the upper and lower jaw and can also affect speech. We will be happy to discuss possible strategies to help eliminate this issue.